My house is my castle is an expression so ingrained in contemporary society that you might think everyone once wanted to live in gothic castles. As it happens, this anachronistic aspiration was all the craze not so long ago, and it holds an important clue as to where the Arts and Crafts Movement comes from. It all began with a foundation called the Gothic Revival, which then received bricks from the Pre-Raphaelites and somehow the two got stuck neatly together with a type of mortar we now consider the Morrison-style Arts and Crafts movement. Finally, the late adopter Eric Gill applied rendering to the structure. In the process, he blended everything together with modernism in a peculiarly British fashion that is still with us today. The whole Arts and Crafts movement is a very British late Georgian and mostly Victorian thing. As the cradle and spearhead of industrialisation in Europe, the British Isles were suffering from metal fatigue in its grand steam-powered quest. Critics were aware of the dehumanisation and deskilling of labour without being able to do much about it short of organising a socialist revolution. Man, they argued, was feeding relentless and soulless machines. Machines which had begun to dictate both the role and the pace of man. Not the other way round. Almost gone were rural life and nature itself, and in had come the urbanised squalor in abject poverty. The latter was living uneasily next door to mercantilists and their expanding estates. In came the Gothic revival in the arts. In architecture, Augustus Pugin is perhaps best remembered for the Palace of Westminster, a moist, dark and rodent-infested place which still houses the British Parliament. Add perhaps also the wacky Strawberry Hill by Horace Walpole. In literature, where recycled Gothic-kitsch has survived almost as well, a certain genre novel was introduced. The fiction in Gothic novels found an audience eager to swallow medieval mystique and gory details from The Castle of Otranto. The never ending changes to everyday life meant that readers took a shine to these stories. A variety to the genre dealt with science and technology running wild. The plot echoed everyone’s underlying fear of not comprehending what was happening to society fast enough. A prime example of this, is Shelley’s Frankenstein Monster. A little before this in the 1840s, John Ruskin drew great moral lessons from the alienating development within society. He wrote a book in 5 volumes titled ‘Modern Painters’. The title of the compendium had nothing to do with ‘modernism’ as we now know it. Instead, Ruskin described the important role of art since the medieval age and up to that particular point in time. He maintained that authentic artists could breathe life into their work when – and only when – they were involved in the entire process. Moreover, artists achieved optimum results when they did not split fine art away from crafts, decorative arts and architecture. Conversely, when you did the opposite, the net result would be the certain death knell to art in its purest form, divorcing the artifacts from us, turning them utterly undesirable and sending them on off to their graves. 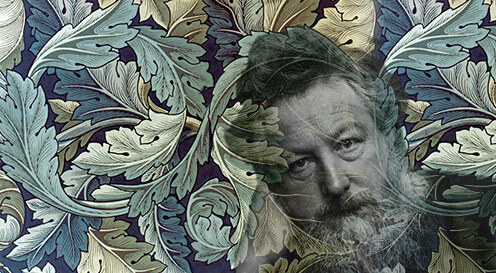 William Morris was convinced that Ruskin was onto something as was his colleagues known under the umbrella term of the Birmingham Set. It was relatively late that the converts received an official title that stuck as an art historical reference. The term ‘Arts and Crafts Movement was first used by Thomas James Cobden-Sanderson at the Arts and Crafts Exhibition Society in 1887. Some people have asserted that the Arts and Crafts movement was anti-industrial and utopian. 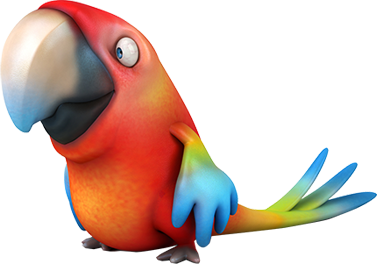 In retrospect, they are partly right, so here is the missing part. The movement was not anti-machine or anti-industrial production per se, it just felt that the system should serve man better. It should underpin the work of an artist or designer who both understood and mastered the entire production process alone. 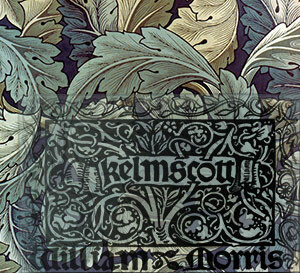 It ties in well with the fact that Morris was fine about a printing press producing his wallpapers, for instance. One of the intentions of subverting the capitalistic value-chain was to offer something of democratic merit. Yet, one of the great paradoxes of art movement was that it achieved quite the opposite. The artists took so much pride in the manual craft and quality materials that it was only the well-heeled customers who could afford the art and design. The Books published by the Kelmscott Press were of such high quality and printed in such low volume, that they instantly became treasured collectibles sold at highly inflated rates. The legacy of the movement should not be estimated and has profoundly influenced all the English-speaking nations in the world. However, it never made much of a dent on the European continent, where modernism was quickly taking root. In the UK, the movement slowly fizzled out and hybridised with modernism. This transitionary period can be found everywhere. For instance, the multi-talented sexually perverse Eric Gill, was a sculptor and printmaker associated with Arts and Crafts. He is behind typefaces that are in use today such as Gill Sans that the BBC has used extensively. Together with Johnston, Gill designed the font that is applied to all the signage in the London Underground. He created something highly legible by taking the optical and classical beauty of serifed typefaces. But he dropped their serifs altogether, and he threw away the geometric rigidity of modernism, but somehow managed to capture its strong sense of minimalism in the design. 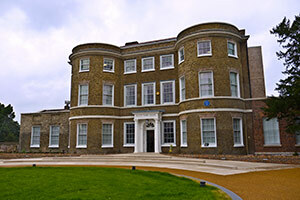 2nd right, The William Morris Gallery, Walthamstow London. 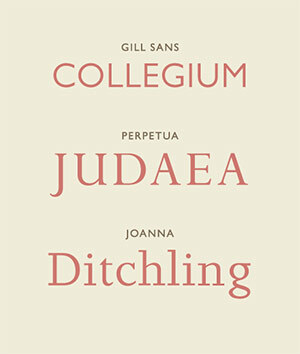 3rd typography by Eric Gill. 4th typography by Edward Johnston with the help of Eric Gill.